After witnessing the covers come off the production version of the BMW i3, the much-anticipated electric car, one thing became abundantly clear: BMW is taking this electric business very seriously. In 2009, the Munich-based manufacturer introduced BMW i, an initiative designed to study urban mobility and provide solutions for issues revolving around traffic congestion and tailpipe emissions. More than just a sub-brand, BMW i is an all-encompassing strategy focused on new car concepts and materials, alternative drivetrain technologies, and intelligent mobility services. The first product to emerge from this strategy is the i3, an electrified city car that is poised to change the notion of what a vehicle for urban driving can and should be. While earlier concept versions of the i3 had a bit of that dorky quality that all electric cars seem to possess, the production version has turned the corner. 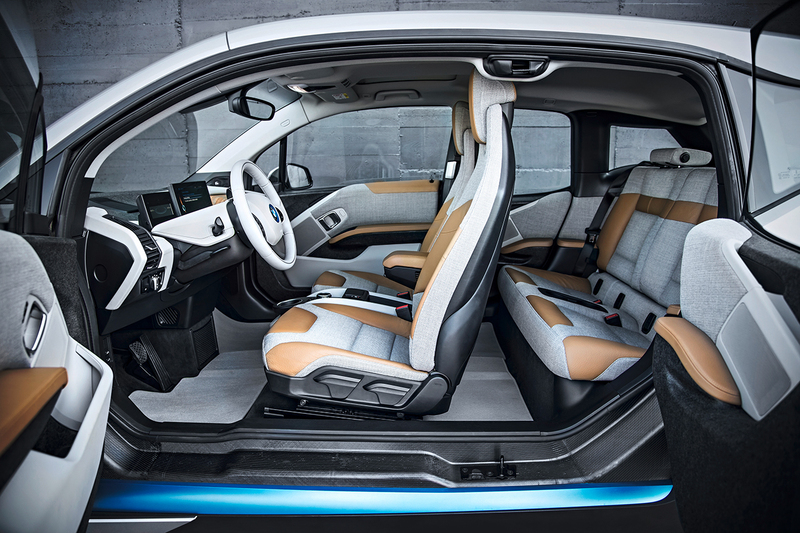 With its upright stance, wraparound front fascia, and large glass area, the i3 looks more like a futuristic crossover than a meek and mild electric vehicle. Inside, this BMW showcases a spacious and luxurious environment, albeit one that might be best described as “responsibly luxurious.” The interior materials place a keen focus on environmental friendliness: Kenaf fibres, a high-quality cotton-like material, are used in the door panels and parts of the instrument panel; textiles used in the non-leather seats utilize recycled fibres; the optional leather seats have been treated with a natural tanning agent derived from olive leaves; and eucalyptus wood used for the instruments comes from sustainably managed forests in Europe. 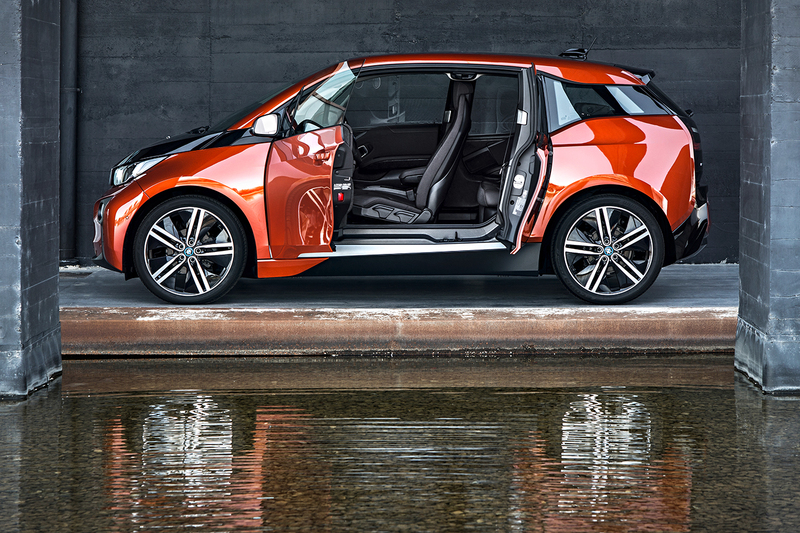 It came as little surprise that the BMW i3 should offer such a compelling proposition from an engineering standpoint. The all-electric powertrain and lightweight carbon fibre-reinforced plastic construction ensured that message came across loud and clear. 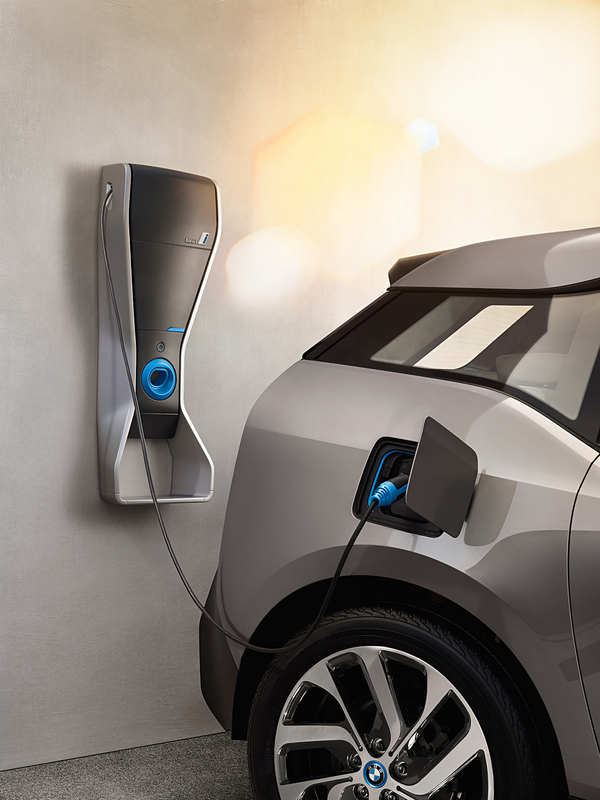 The modern electric vehicle movement has had a number of breakthrough developments in the recent past—the Nissan Leaf, Chevrolet Volt, and Tesla Model S spring to mind—and the BMW i3 seems on the verge of being next.